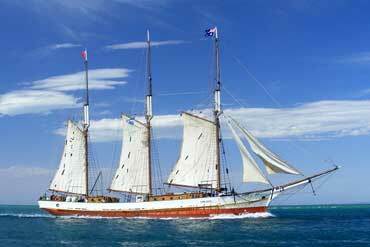 If you have an interest in ships and/or Australian history then come along and see this tall ship the Alma Doepel being restored. 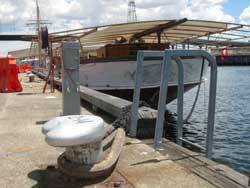 It’s sat in the Docklands at the moment and is being restored by volunteers with a bit of help from some experts. I gather it’s taken a bit longer than originally planned to restore it. 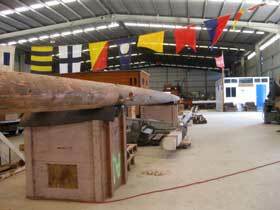 The original target was 2013 so that it could take part in the Royal Australian Navy centenary celebrations but work is still ongoing at the time of writing. 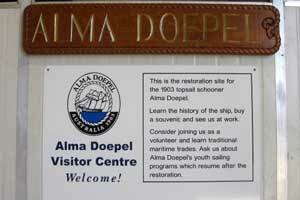 The Alma Doepel is a three masted sailing ship which was built in Australia in 1903 – at least it will be a three masted sailing ship when it’s been restored again – the masts are currently in the repair shed undergoing renovation. .........Next on the agenda is to lift the ship out of the water to repair the hull, then the repaired items get put back on and voila!. Well, ok, maybe not quite that simple! ...........Not sure I would have got off the boat! .........In fact they seem to have regular barbies there if I’ve read their website correctly. See www.almadoepel.com.au. They're located at Shed 2 at North Wharf Road which is more or less an extension from Collins Street. Park up at Safeway and walk 200 or 300 metres down the wharf and you can’t miss it.